With a bit of rain in the morning, the decision was made to go to the town, Kristiansund. After a short stroll in the harbour and a coffee, it was time to head back out. Later in the evening the rain subsided and we went back out, this time to the beach. The route was originally proposed as a railway line in the early 20th century, but this was abandoned. Serious planning of the road started in the 1970s, and construction started on 1 August 1983. During construction the area was hit by 12 European windstorms. The road was opened on 7 July 1989, having cost 122 million Norwegian krone, of which 25 percent was financed with tolls and the rest from public grants. Collection of tolls was scheduled to run for 15 years, but by June 1999 the road was paid off and the toll removed. The road is preserved as a cultural heritage site and is classified as a National Tourist Route. It is a popular site to film automotive commercials, has been declared the world’s best road trip and been awarded the title as “Norwegian Construction of the Century”. In 2009, the Atlantic Ocean Tunnel opened from Averøy to Kristiansund; together they form a second fixed link between Kristiansund and Molde. Fornebu (local form Fornebo) is a peninsular area in the suburban municipality of Bærum in Norway, bordering western parts of Oslo. Oslo Airport, Fornebu (FBU) served as the main airport for Oslo and the country since before World War II and until the evening of October 7, 1998, when it was closed down. Overnight, a grand moving operation was performed, so that the following morning, the new main airport, located inland at Gardermoen (OSL), opened for operations as the main airport, as opposed to previously having been a minor airport. As of 2001, the Fornebu area is being developed as a centre for information technology and telecom industry, as well as there being some housing project developments nearby. The new headquarters of Norway’s telecom giant Telenor are located in the area. The peninsula is connected to Langodden and Snarøya, which are more established areas of private residences. The local beach, not many people today. Probably due to the rather chill weather. The lonely bench, waiting for warmer times. A small section of the runway still remains as a reminder of once was. The Schrammsteine are a long, strung-out, very jagged group of rocks in the Elbe Sandstone Mountains located east of Bad Schandau in Saxon Switzerland in East Germany. To the north they are bordered by the Kirnitzsch valley, to the south by the Elbe valley and to the east by the Affensteine rocks. The high point of the chain lies at over 400 metres ASL. The viewing point on the Schrammsteine lies at a height of 417,2 metres ASL. Not much to write, it’s a small castle and not really much to see. Information about the castle is sparse and only in German. Cute town with tiny streets. Ps: parts of the castle is a hotel. 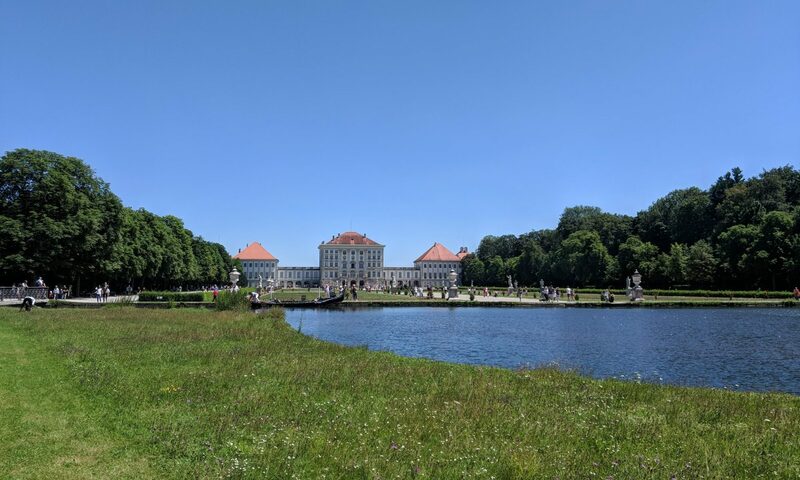 The culturally and historically significant monument of Stolpen Castle has always been of importance to the country’s history, both as a secondary residence of the Meissen bishops and during the time of electoral rule. Depending on the requirements and possibilities of the respective eras, the castle was permanently subject to structural changes. It saw its conversion into Stolpen Palace, became a fortress and represents itself partially as a ruin today. Its master builders had to take into account the castle’s fortification purposes at all times. The basalt mountain of Stolpen counts among the most important volcanic rock deposits in the Saxon-North-Bohemian region and is regarded a natural monument and »National Geotope«. The castle well of a depth of almost 85 meters is the deepest well on Earth ever driven into basalt and left in natural stone (unsupported). Stolpen used to be situated in the border area of the Meissen Margraviate and the territories east of the Elbe River, inhabited by the Slavs. First, unproven evidence of fortifications on the basalt mountain date back to 1100. The name ‘Stolpen’ is of Slavic origin and means as much as ‘pillar’ or ‘place of pillars’. Nearly 85 metres deep well! It took them 24 years to dig out. Quite impressive. Not really worth the money. Very not much to see or do. Waste of time and money.